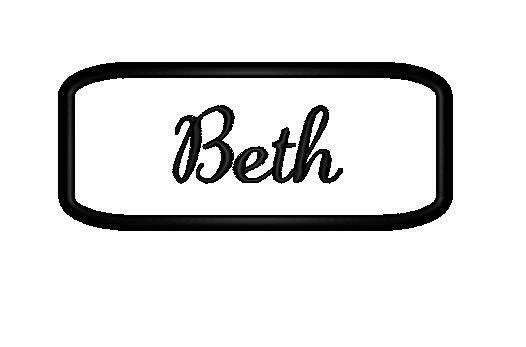 Embroidered felt Name Patch with black stitching on white. This patch iron on/sew on,is about 4 in. on white felt with black stitching. If you want to use two words, or a really long name, convo me first, I will see if it fits. Seller sent these to me just in time, dependable seller as always! Thank you so much! Thanks so much, always great service.